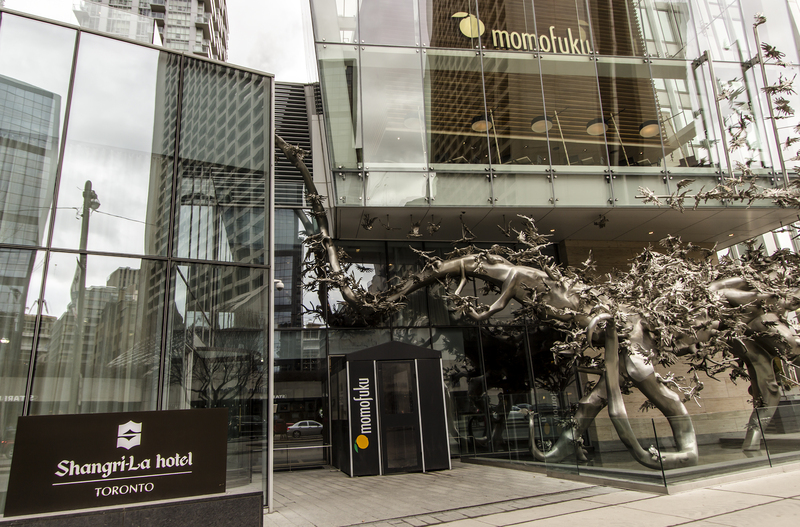 Synonymous with sophistication, the Shangri-La Hotel Toronto is notorious for creating extraordinary luxury experiences in the heart of downtown Toronto. This stylish hotel is home to a relaxing oasis boasting all the amenities needed for a rejuvenating treatment. 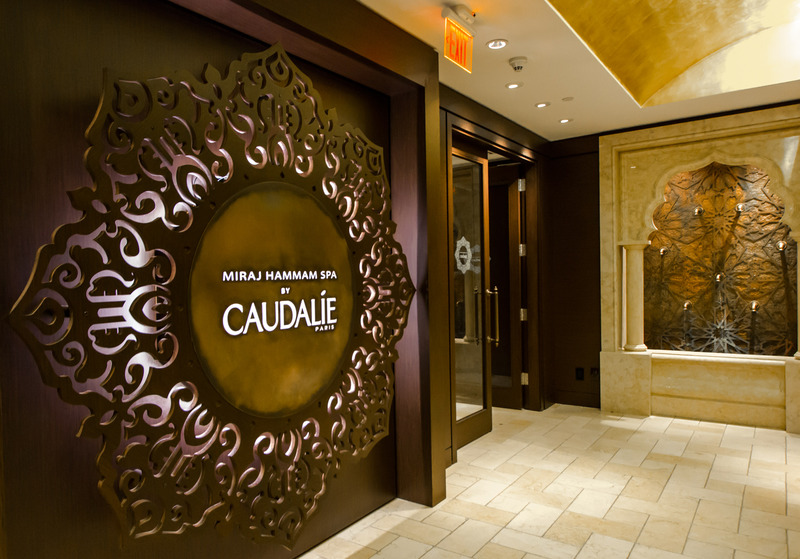 Miraj Hammam Spa by Caudalie Paris is situated on the fifth floor of the Shangri-La Hotel Toronto. Together with Caudalie of Paris, the leader in Vinotherapie Spas around the world, you can enjoy luxurious treatments, beneficial even by the most discerning standards. It’s here where you can experience a voyage inspired from the ancient rituals of the Middle East to the vineyards of Bordeaux. 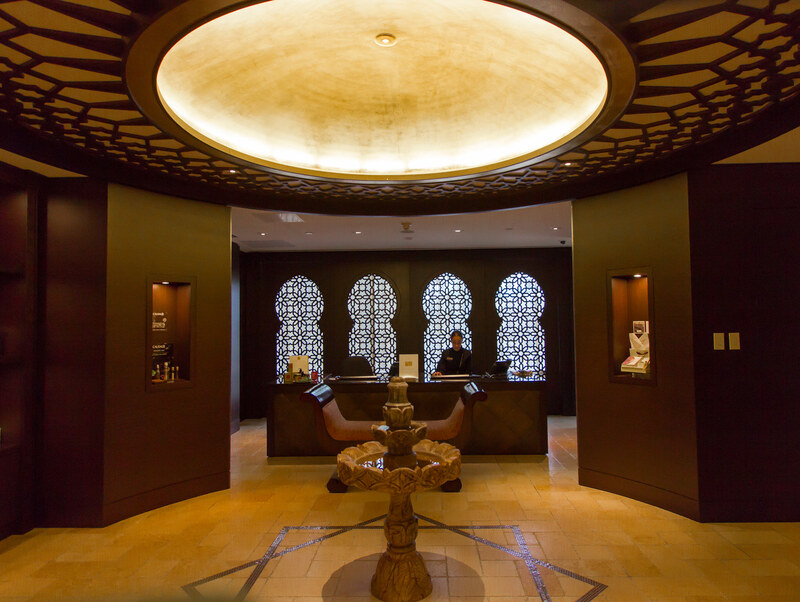 Miraj Hammam Spa personalized feel has earned the spa rave reviews. Sample treatments – a 30 minute Hammam & Gommage treatment for $130, or a 60 minute Caudalie Grand Facial (anti-oxidant / all skin types) for $165. 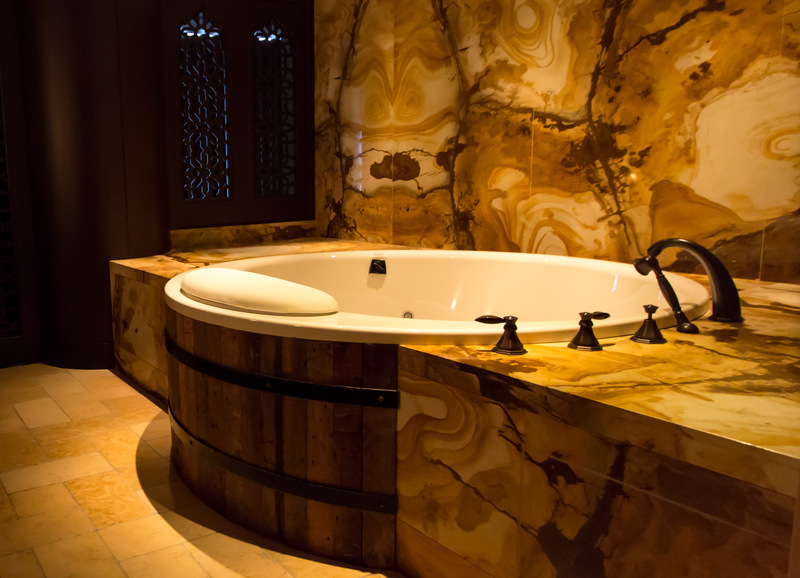 Its signature feature is the Hammam. A Hammam is a steam room, quite similar to a Turkish bath, where Moroccans habitually go each week to cleanse themselves. This unique steam room is a marble-assembled hammam that sweats out toxins at temperatures of up to 50 degrees Celsius. 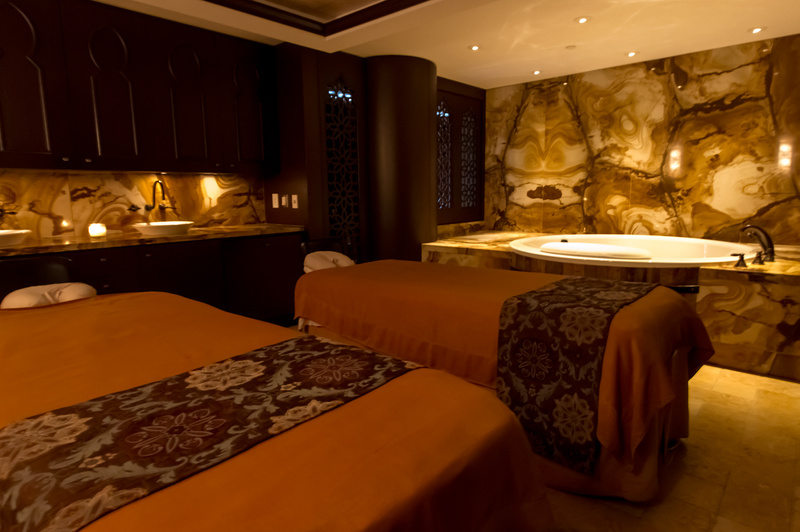 Miraj Hammam Spa also features many private treatment rooms containing tables suitable for facials, massage, and body treatments. 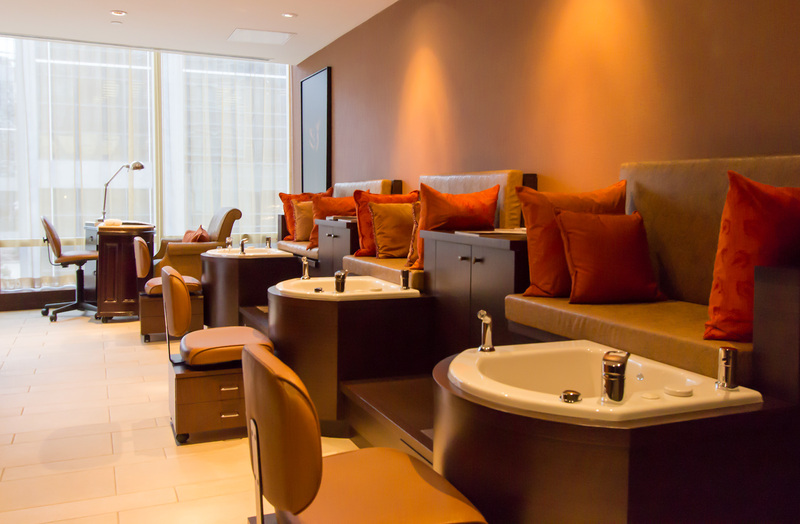 There’s also a manicure and pedicure space which features manicure and pedicure stations, all with a spectacular view of downtown Toronto. Before visiting the spa I was able to make use of the club house facilities (fitness centre, steam room, pool, jacuzzi) that belong to the Shangri-La Hotel. I spent more than an hour there before starting my treatment; a great start to an afternoon of relaxation and indulgence. I eventually arrived at the spa and was greeted by their friendly and professional staff. Within minutes of my arrival I was in a stunning and luxurious change room not only in terms of materials but also in colours and architecture. After changing into a comfy bath rob and slippers I started my treatment with a 15 minute Hammam which took place in a private high intensity steam chamber infused with eucalyptus. Once my fifteen minutes were up it was time for my personalized massage therapy. I am very glad I booked the 60 minute session since anything less would have had me wishing for more. My massage therapist was absolutely incredible and tailored my massage to target my problem areas with just the right amount of pressure. I remember thinking that it was the best massage I’ve ever had. After ridding my body of toxins and stress, and having deep layers of muscles and connective tissue realigned I was taken to a room filled with plush divans under shimmering lantern lit tents with intricately carved décor in elaborate motifs — it reminded me of the ambiance at The Sultan’s Tent & Cafe Moroc. I was given some delicious baklava, grapes, and Moroccan tea, and I let myself unwind as I gently dozed off for as long as I needed. Miraj Hammam Spa was the urban sanctuary I was looking for. 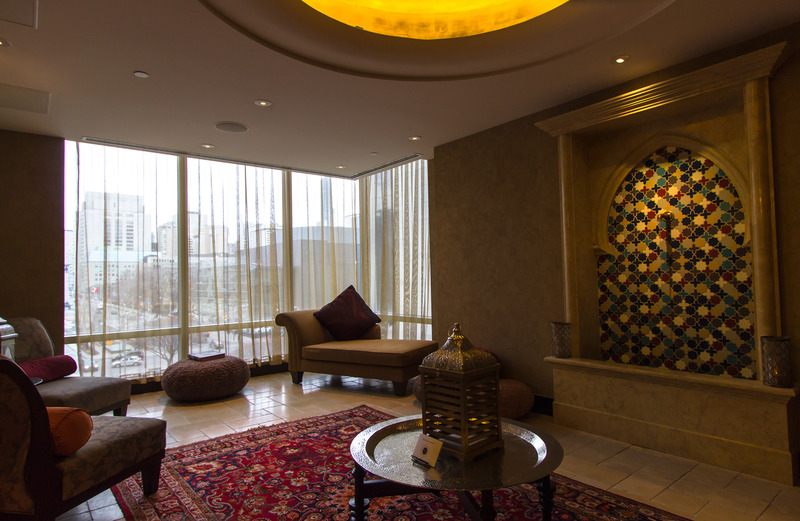 With a full range of spa services and a specialty trained roster of service providers here to pamper you, you will experience luxury and reverence at its finest all within Toronto’s most coveted escape. For more information visit Miraj Hammam Spa By Caudalie Paris. Wow traveling in style Will! The pictures alone make me heave a relaxed sigh!